Mumbai : Indian state of Maharashtra has decided to put an end to possessing or selling Gutkha which is a paste of scented beetle nuts and tobacco, by declaring it a non-bailable offense with a provision to send offender into 3-5 years of jail term. Indian Minister for Food and Narcotics Girish Bapat said on Tuesday that the government was taking steps to enforce the ban strictly. Despite a prohibition on gutka in the state, over 3,418 pan kiosks worth over 47.77 crore Indian rupees have been confiscated since July 2012. “Directives have been given to the police to book the accused under section 328 (causing hurt by means of poison, etc, with intent to commit an offence) of the IPC which is non-bailable instead of section 188 which is bailable,” he said. 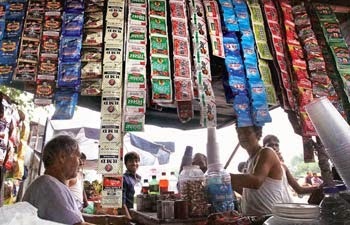 Bapat said 72,000 shops have been searched and gutka worth Rs32 crore has been seized so far. As many as 1,538 cases of illegal sale of gutka are being tried in the courts, he added.